Winter Carnival festivities continue off-campus with a weekend retreat to Keystone Resort! 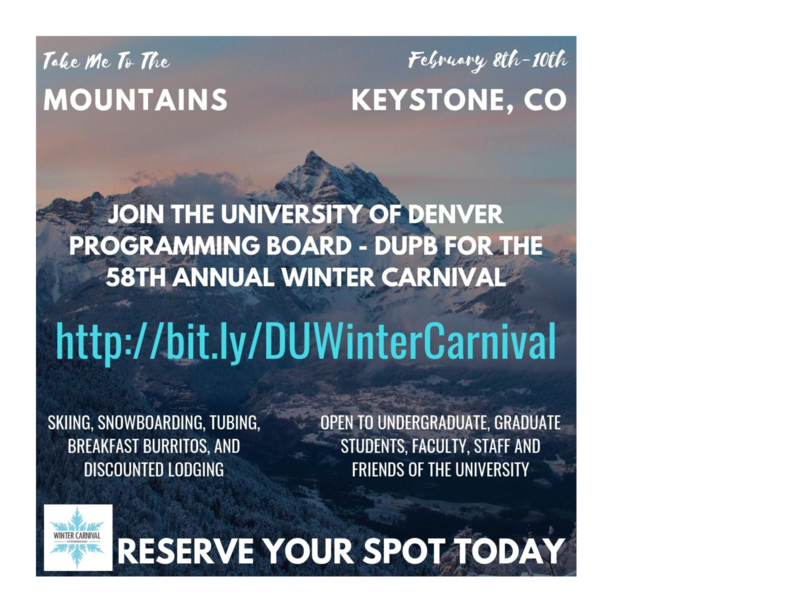 Pack some winter clothes, rally some friends, hop on a shuttle, and head to the mountains for a discounted weekend excursion with the DU community. Customize your experience and choose from activities like skiing, snowboarding, tubing, ice-skating, a movie screening, live music, and more. Register early for the best discounts. Prices go up January 21, 2019. © 2018 University of Denver. All rights reserved. Privacy.